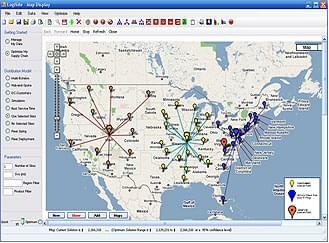 Logix is the flagship product of Logistix Solutions, a software company that specializes in transportation management, distribution network design, routing and scheduling software and supply chain optimization. 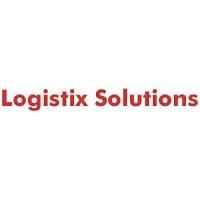 Logix is an on-demand supply chain optimization software that solves the most complex supply chain issues. It helps businesses determine the right number of distribution centers to keep open and where to operate each one, with the goal of reducing transportation and warehousing costs. The software also helps businesses develop the best sourcing plan that incorporates the best suppliers. Both retail chains and grocery stores can benefit from this supply chain optimization software. A supermarket chain utilized Logix Distribution Network Design tool to consolidate inbound distribution to its network of stores in the US. They took advantage of Logix’s ability to optimize transportation at the truckload level, UPS Zone or less-than truckload (LTL) rate to locate the ideal consolidation center. The company was able to develop an accurate picture of transportation costs and product flow, and determined which products to ship directly and which to cross dock. The savings target for this supermarket chain was reached while solving the distribution network design problem. Learn everything you need to know about Logix. Our experts will reach out to you shortly.